It’s Burns Night this Friday and in my mind this is a super excuse to eat Haggis. And to drink whisky. 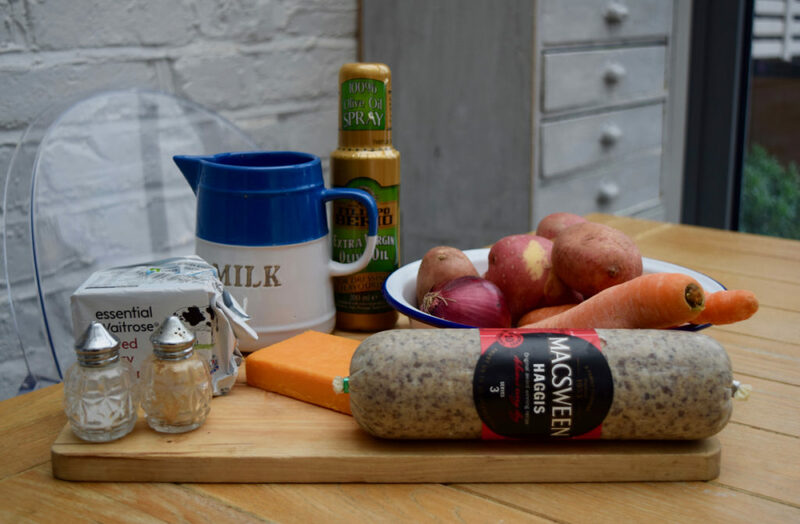 Haggis is a real love it or hate in dish. Most people who hate it are put off by squeamish olden day talk of it being something to do with a sheep’s stomach. Not so these days, well at least not with my Macsween haggis from Ocado. I am on the side of love it. Haggis is so tasty; it’s meaty, peppery, warming. I would eat it all the time if it were up to me, but it really only pops up on my radar once a year. So this year I decided to utilise this delicacy to make this Haggis Shepherd’s Pie. My whole family are Haggis fans, yes, even George, the world’s fussiest eater. 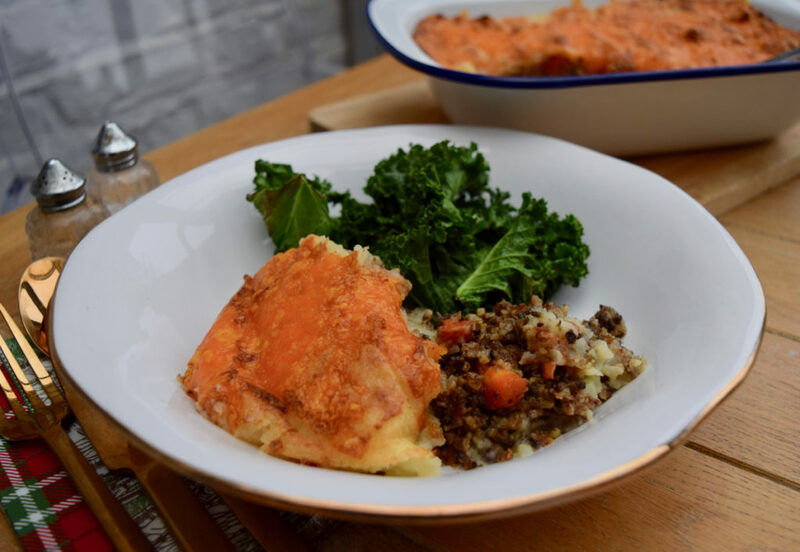 Haggis Shepherd’s Pie is a genius way of using this Burns Night, Scottish treat and turning it into a family friendly meal and for this I thank the lovely Sainsbury’s Magazine for the introduction. 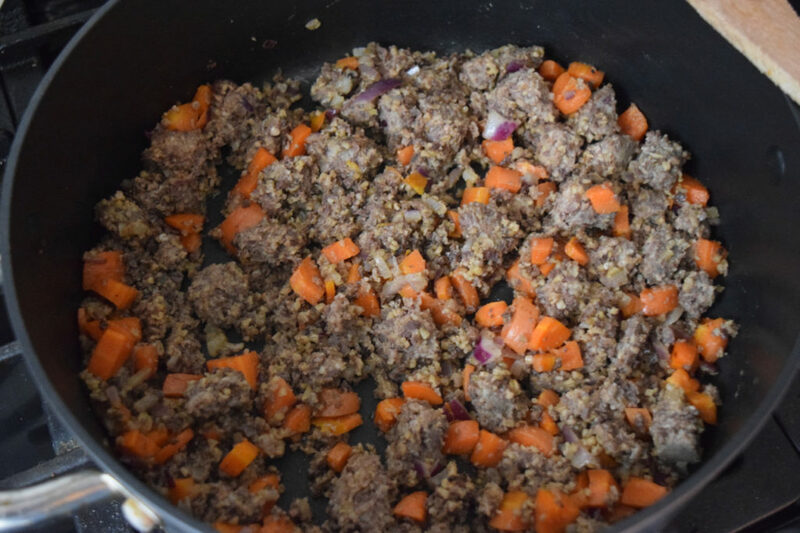 This dish is a comforting mixture of haggis sautéed with carrots and onions topped with buttery, cheesy mashed potatoes. It’s simple and quick but seems like a really special dish. 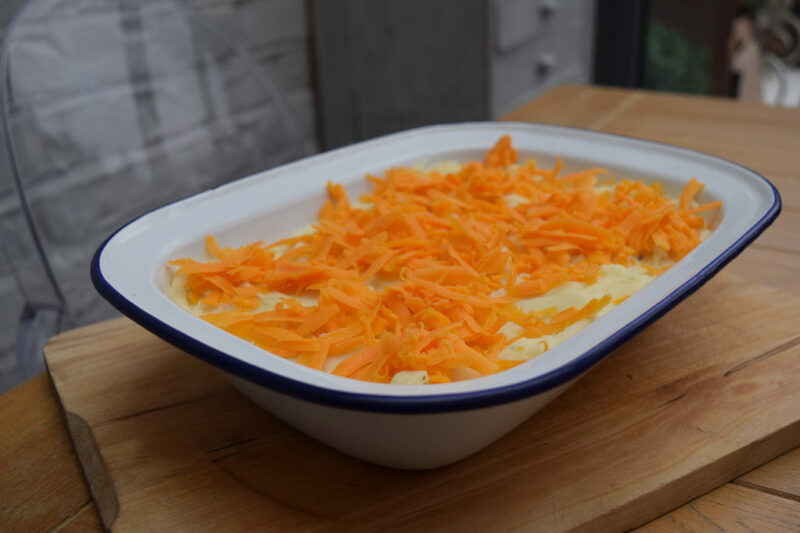 This Haggis Shepherd’s Pie is super savoury, filling and if your family are haggis lovers like mine, will be requested on a regular basis. It doesn’t seem fair that you will only taste this on dear old Robert Burns’s birthday, it’s way too good for that. This Friday don your tartan, spoon yourself a giant helping of Haggis Shepherd’s Pie and pour a wee dram and raise it to Rabbie Burns. It may not be the traditional way to serve this Scottish dish but it’s not as if the Bard of Ayrshire will find out, he’s sadly been dead 1796. Pre heat your oven to 160 degrees fan assisted and oil your baking dish. 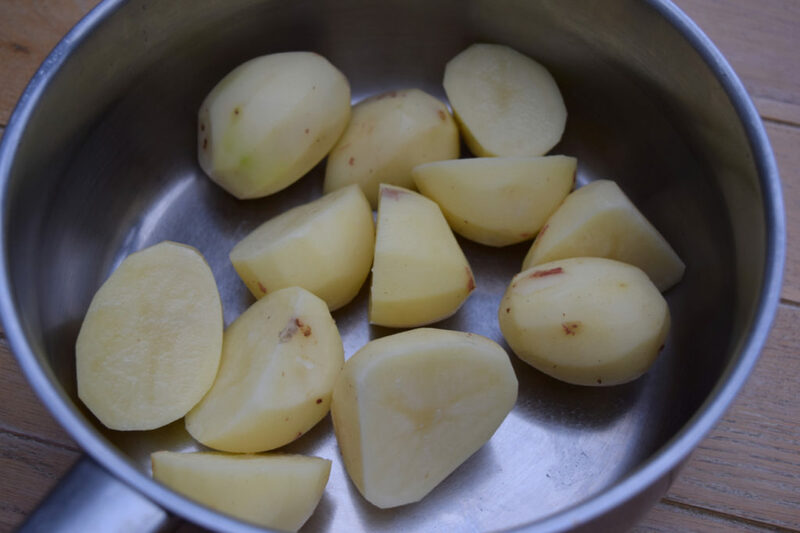 Peel and chop your potatoes and boil them in salted water for around 20 minutes, or until soft. Drain well. 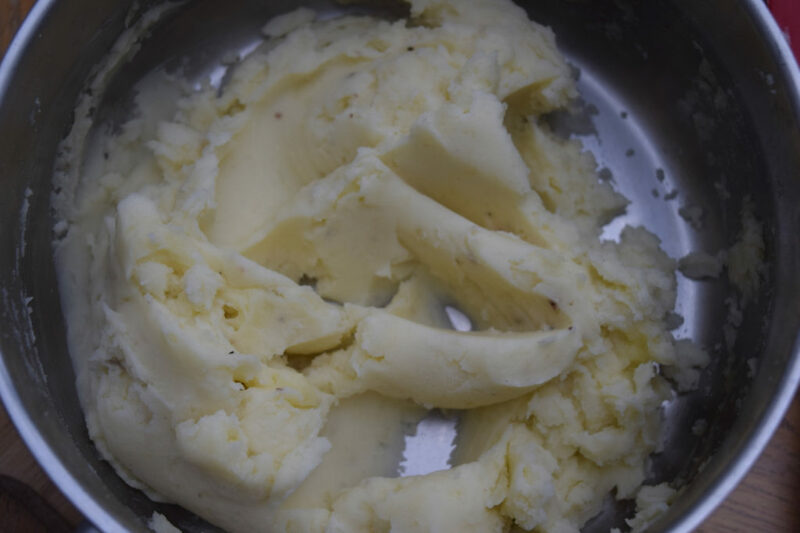 Mash the potatoes first, then add the milk and butter and mash again until smooth. Season with salt and pepper, to taste. 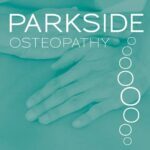 Pop to one side for the moment. Take a large sauté pan and heat two tablespoons of oil over a medium heat. Tip in the chopped onions and carrots and saute for around 5 minutes or until just softening and starting to colour. Remove the casings from the haggis and roughly chop. Add this to the vegetables in the pan and break up using a wooden spoon. Cook, stirring, until the haggis has broken up and is starting to brown. Tip into your baking dish. 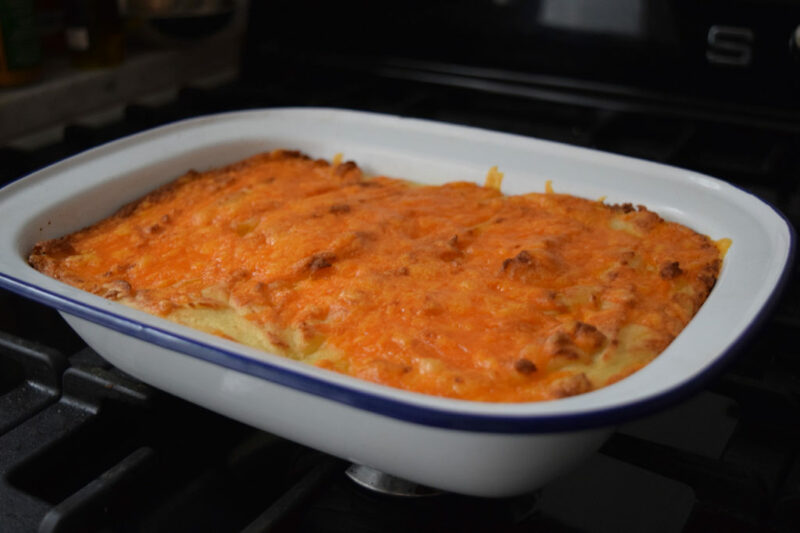 Top with your mashed potatoes, smoothing the top then sprinkle on your grated cheese. Bake for 30 to 35 minutes or until piping hot and bubbling. Serve with some greens and gravy, if you like. An a wee dram if that’s your thing.